The best Liposomal Glutathione available anywhere. 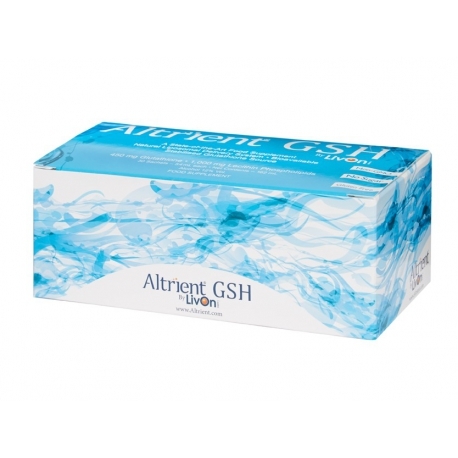 The most effective way to boost GSH – Glutathione levels. Box of 30 sachets. As glutathione is vital to the good health of literally all the cells in the body, there are numerous diseases that have been effectively treated by improving the glutathione status inside the cells. These diseases include, but are not limited to, Alzheimer’s, Parkinson’s, atherosclerosis, hypertension, asthma, chronic lung disease, glaucoma, hepatitis, and arthritis. Tagged Dr Levy, Liposomal Glutathione, Liposomal Glutathione UK, LiveOnlabs Liposomal Glutathione. Bookmark the permalink.